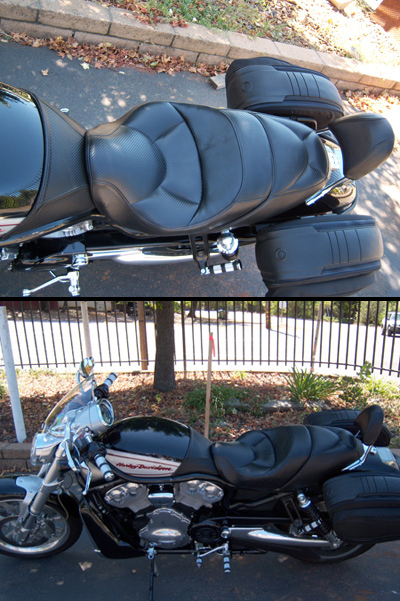 Owning a Harley-Davidson can be one of the best experiences of your life. 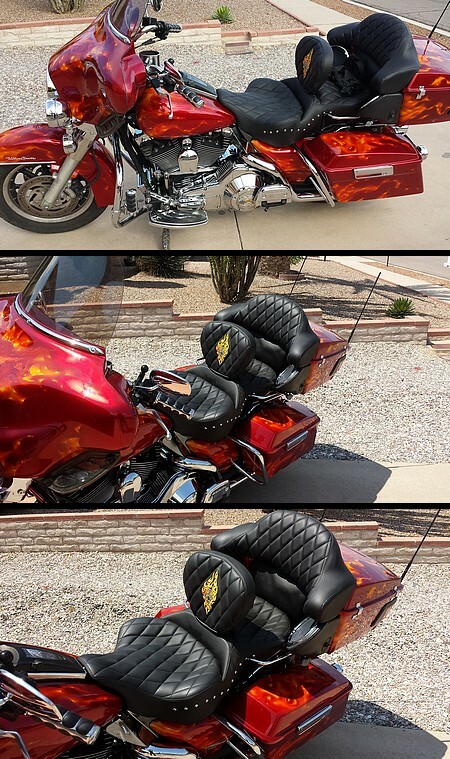 Just the sound of a Harley turns heads everywhere. 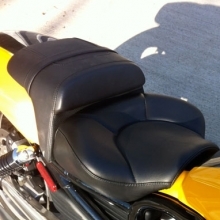 But for many riders, they are not enjoying their bike like they thought they would. 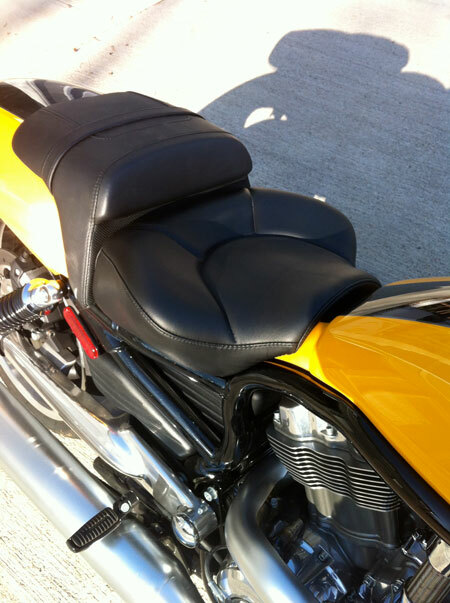 The seat could be too hard, not give enough support or just plain uncomfortable after long hours of riding. 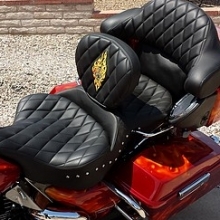 Getting a custom made seat designed for your own build and seating posture can get you back to that original excitement when you first purchased your Harley-Davidson! 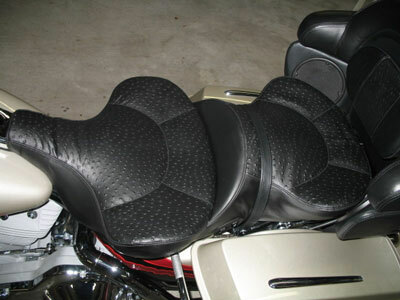 Russell Cycle Products builds their ‘Day-Long’ custom bike seats in-house with dedication and craftsmanship. 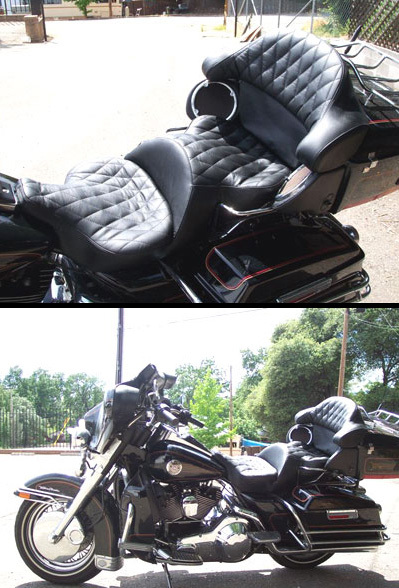 Their patented seat suspension system provides the kind of support your body needs for long rides. 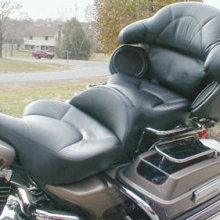 Get comfortable! 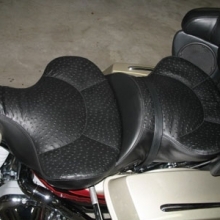 Order your new bike seat on-line and just mail us your seat pan so we can get started on a seat designed especially for you. 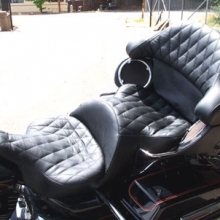 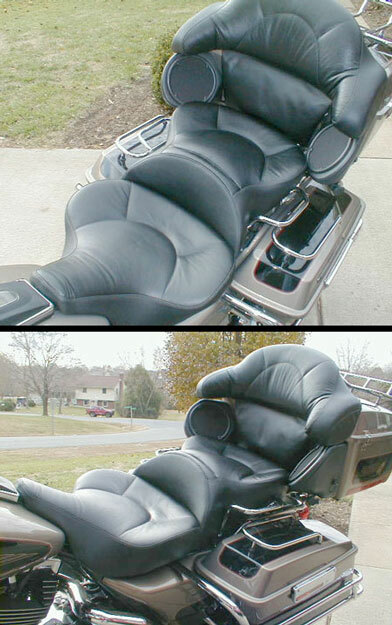 See our Harley-Davidson gallery below for style #’s and examples of previously made bike seats.